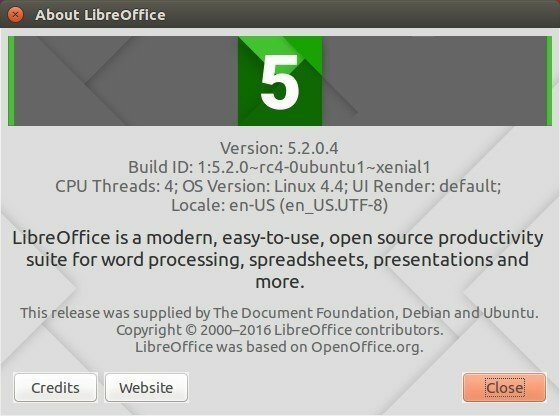 LibreOffice 5.2 is finally available for upgrade in Ubuntu 16.04 and Ubuntu 14.04 via PPA repository. Although LibreOffice 5.2 was released a weed ago along with .deb binaries, Flatpak, and Snap (still in beta) packages, a PPA repository, with well Unity integrated packages, is still needed for some users. Now the PPA is ready, and here’s how to upgrade for beginners. See release note for more. Type in your password when it prompts and hit Enter, read the PPA description, and hit Enter to continue. 2. 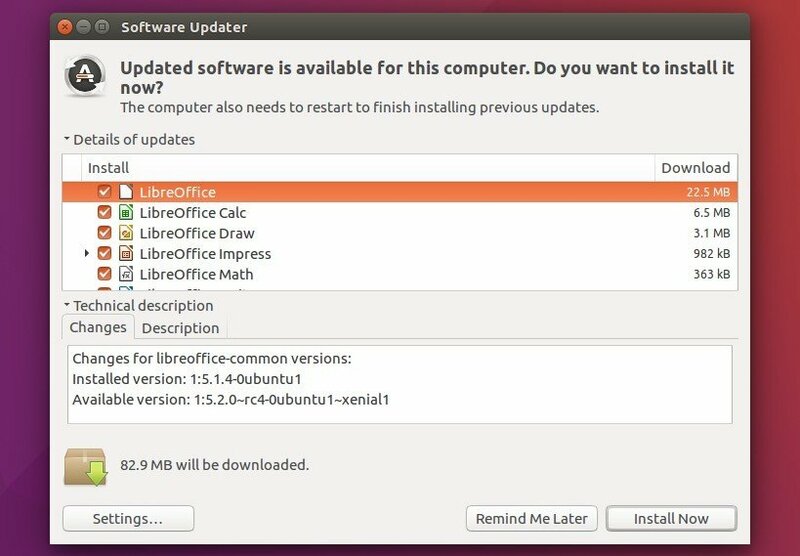 Upgrade LibreOffice via Software Updater, after checking for updates. removing the package libreoffice-gtk. The current build in PPA uses the package libreoffice-gtk2 instead of the default libreoffice-gtk, so Software Updater or (apt upgrade) will keep back the original LibreOffice release. The PPA has re-built the package with traditional libreoffice-gtk package added, so just launch Software Updater and upgrade your system. If everything goes OK, you should be able to install the libreoffice-gtk2 package. Installed this yesterday. Today got a huge update from the ppa, including a re-install of libreoffice-gtk. So removing it might not be needed. The maintainer has rebuilt the packages with traditional libreoffice-gtk package added. So yes just upgrade your system via Software Updater will be OK. I have upgrade to libreoffice 5.2 and now the OS doesn’t start because is impossible to find the system graphics configurations. From recovery the “Network section” doesn’t run and now I will to remove libreoffice 5.2 from root prompt. to remove unnecessary packages after installation. Don’t kid yourself. Upgrading may can be get but where from ?. No places to download 5.2. Just forget it. After adding the Libreoffice PPA and doing an apt-get update && apt-get upgrade. Follow it up with running apt-get install libreoffice. I got version 5.3.